Timothy Bell Fitness - How Fitness Was Meant To Be! 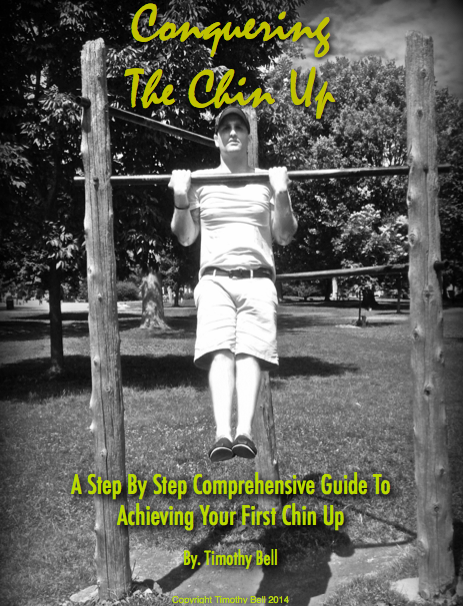 : A Sneak Peek At The "Body Weight Solution" EBook! 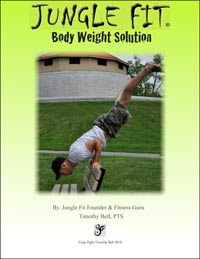 A Sneak Peek At The "Body Weight Solution" EBook! Hey everyone! 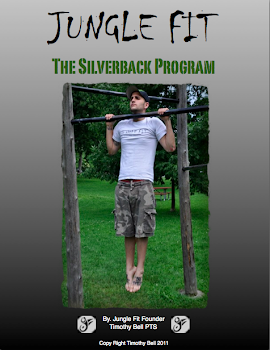 I'm very pleased to announce that the my first ebook "The Body Weight Solution" is all finished and will be up on the Jungle Fit website (www.Jungle-Fit.com) this week! That means you'll be able to purchase your own copy save it to your computer, iPod or iPad, ebook tablet, or even your own phone to take anywhere with you in the world. With "The Body Weight Solution" you'll learn how to progress from the most basic to some of the most advanced body weight exercises and you'll learn how to put them into a fitness program that suits your life style! So for those of you who have been following me and looking forward to the release of the book, here's a sneak peak of the introduction ... it's not the whole thing, but just something to tide you over until your grab your own copy. Enjoy!
" 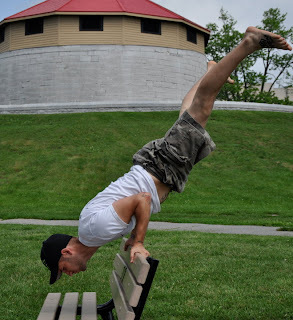 Body weight training is and will always be the most functional, versatile, and natural form of exercise. The benefits of mastering one’s own body weight, and the movements we’re designed to perform, are limitless and have stood the test of time. This can be seen in some of the worlds greatest athletes, who train for the most part or exclusively using only their own body weight as resistance. I’m sure that few would argue that the strength/agility of a gymnast, the power/flexibility of a martial artist, or the gracefulness/mobility of a dancer is anything short of extraordinary. All of the aforementioned athletes train almost exclusively with the use of their own body weight. This alone goes to show the versatility of a body weight training program, and how it can be adapted to suit the needs and goals of anybody willing to take advantage of this amazing art of training. Body weight training can be used to gain strength, lose body fat, increase lean muscle mass, boost metabolism, regain/maintain mobility and flexibility, improve balance and coordination, as well as boost athletic ability and conditioning. All it takes is a properly designed program using the correct exercises pertaining to your goal, basically use the right tool for the right job! Fortunately, body weight training costs little to nothing at all and requires very little to no equipment. So, regardless of your income or geographical location, body weight training can be done any where at any time without having to spend a dime. All you need to get a great workout is a space large enough to lie down and enough over head space to jump up. The only thing preventing the majority of people from taking advantage of the benefits of body weight training is one simple thing, a lack of knowledge. Most people have no idea how to correctly perform body weight exercises safely let alone the progressions that are needed to steadily change and evolve their workouts. Which brings me to why you have most likely purchased this book...."
Hopefully you'll enjoy the book just as much as I have enjoyed writing it and putting it together for you all! You really don't need a lot of money, fitness equipment, or even a gym membership to get into the best shape of your life. It is my wish that the "Body Weight Solution" will help show you how to get the life and body you deserve using only your own body. 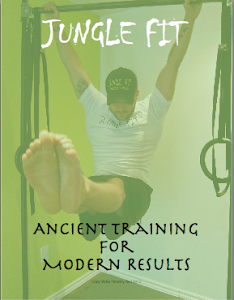 Be sure to visit the website at www.Jungle-Fit.com and pick up your copy as soon as it's released!